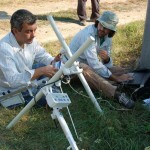 The use of remote sensing techniques to aid the exploration and interpretation of archaeological sites has massively changed what we know about sites before we excavate and how we use the available excavation resources. 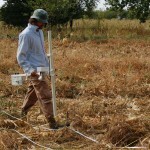 Survey techniques such as magnetometry, soil resistivity, and ground penetrating radar are by now well known tools in the archaeological toolkit for understanding settlements, but their use in cemetery contexts is far less well developed. The BAKOTA project is using a combination of geophysical survey data to identify anomalies in the cemetery and guide the interpretation and excavation of the site.